Know someone with a love of summertime and a green thumb? Our bountiful garden of blooms will be a delight! 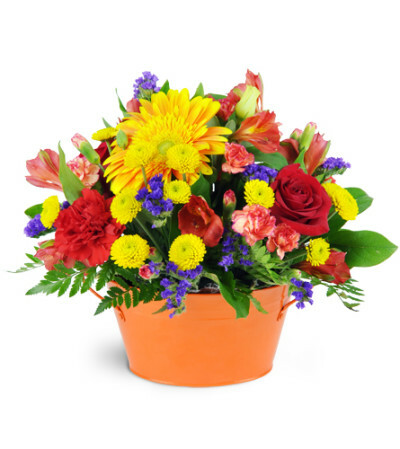 Filled with hot tones of yellow, orange, and red, it's a perfect way to bring the summer sunshine in! 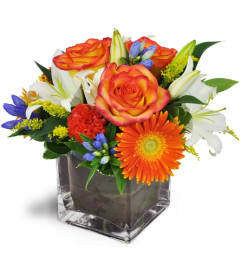 Gerbera daisies, roses, alstroemeria, miniature carnations, and more overflow from a cheerful orange tin container! 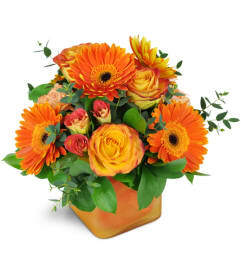 I live in the UK and wanted to send flowers in Ladner. 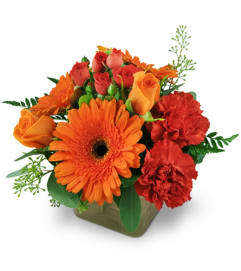 The specific bouquet was not available immediately because the flowers were not fresh, so I was emailed immediately to ask if delivery the next day would be ok. Which was absolutely fine. 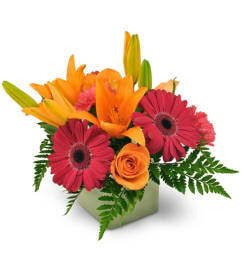 I really appreciated that the shop didnt want to send flowers that were not perfect. Great service and I will use again. Thank you.